Customers view enterprise single sign-on as a key requirement of a complete enterprise identity management solution. 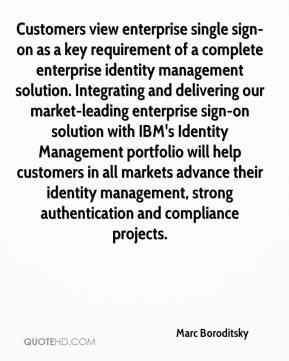 Integrating and delivering our market-leading enterprise sign-on solution with IBM's Identity Management portfolio will help customers in all markets advance their identity management, strong authentication and compliance projects. These numbers clearly demonstrate that enterprises recognize the need to tame the password problem and are turning to single sign-on technology as their strategy of choice. 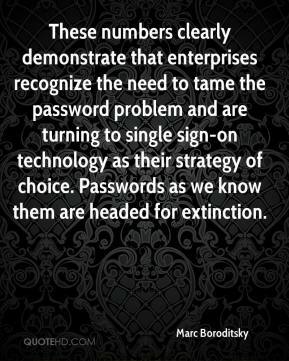 Passwords as we know them are headed for extinction.